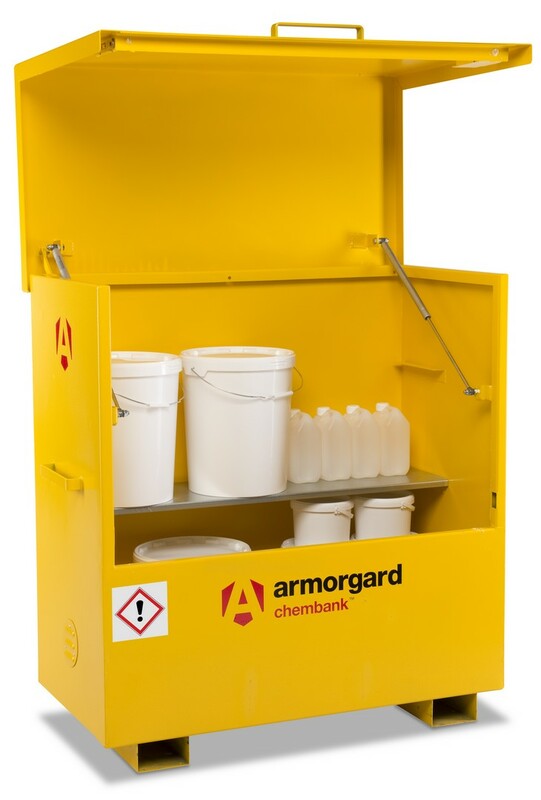 The chembank fully complies with all regulations for the safe storage of chemicals. A strong, lockable chest, constructed from robust steel. It is built to specification for 30 minutes fire resistance. The Chembank comprises of high and low level ventilation to prevent the build up of fumes. Supplied with one internal shelf and complete with relevant hazardous signage. Comes with fork skids for easy handling and facilities to add castors - it is simple to make it mobile. Serial numbered for fast key replacement.